Jack and Owen have attended Campbell’s Cooking Class for nearly as long as they have been alive. 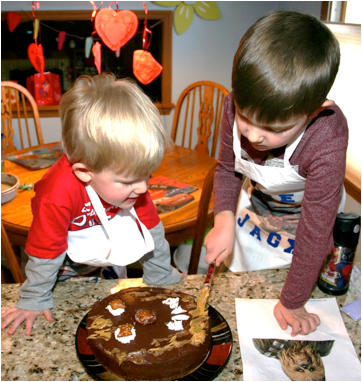 Whether they are making cookies, banana flambé, pies, or cakes, they love the excitement of creating something and seeing it materialize before their eyes. Pablo Picasso was correct when he said, “All children are artists. 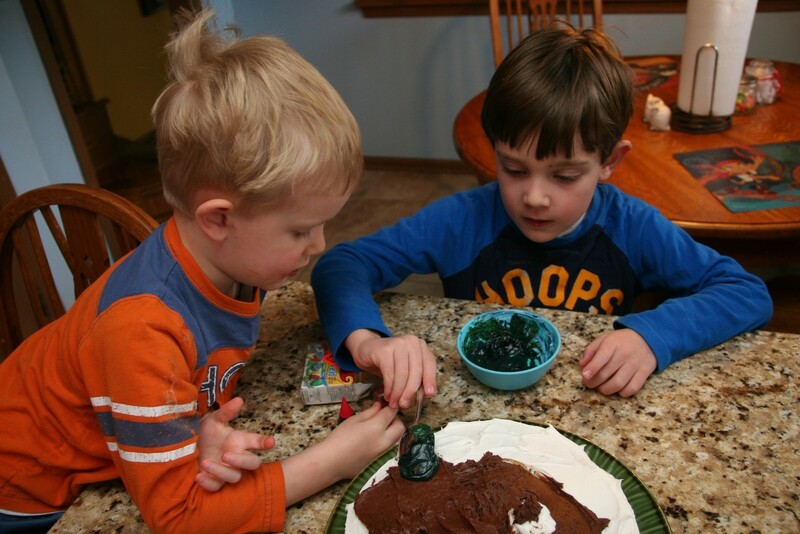 The problem is how to remain an artist once he grows up.” That is true for both the boys; they love creating especially, when they can eat it afterwards. Recently, their mother celebrated her birthday, which meant that they needed to figure out what she would like adorning her birthday cake this year. 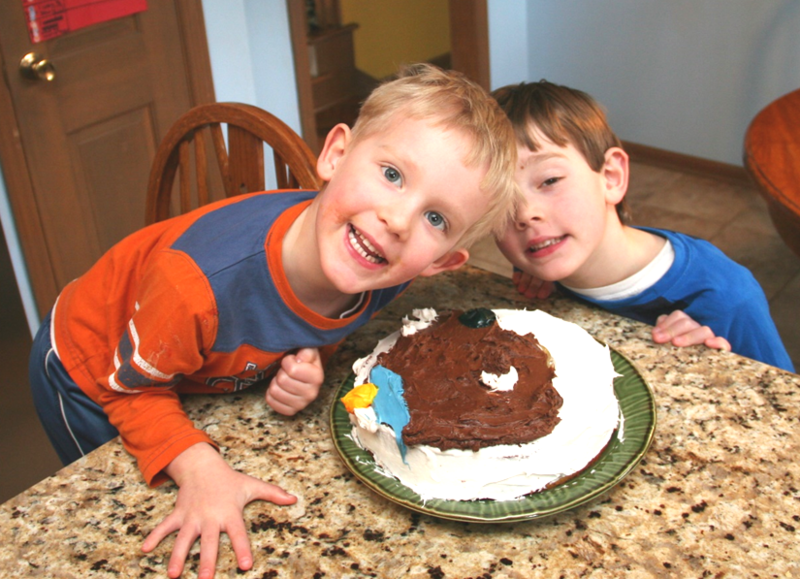 On her last birthday, Jack and Owen created their mother’s favorite Star Wars character, Chewbacca. The question for this birthday was what would she enjoy. One of the boys suggested decorating the face of Ginger, my Irish Setter puppy who wasn’t yet four-months old at the time. Thus, began their creative efforts. 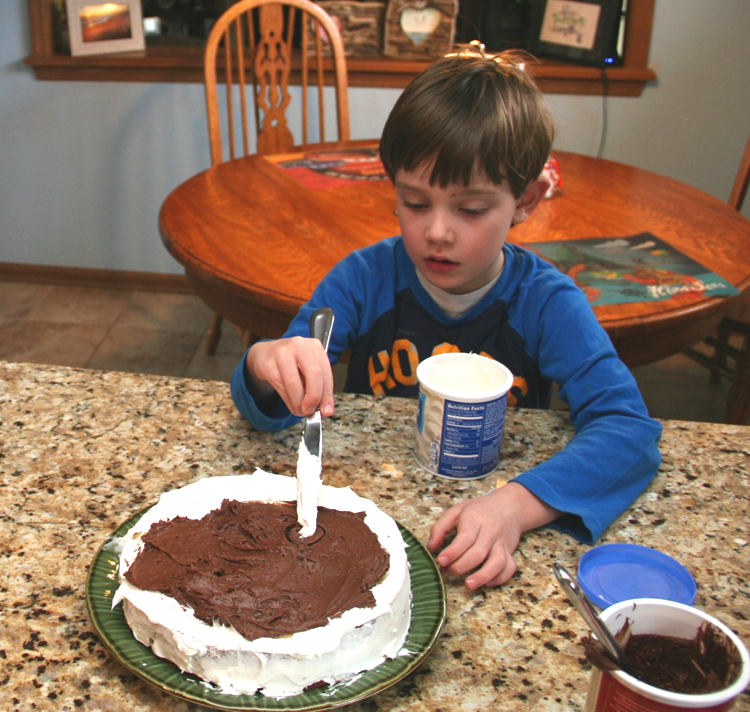 This photo is of Jack placing Ginger’s eye on the cake. 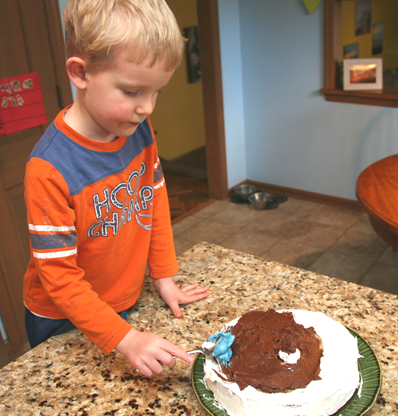 This next picture is of Owen placing Ginger’s blue collar on the cake. The decorating of the cake is coming together. Jack is working on Ginger’s nose. Finally, perfection. Their piece de resistance was completed. Then Owen made a yellow name tag on the cake. After Jack and Owen admired their creativity, I told them that Picasso would be proud of them. Then we went outside and played with the real Ginger for a while to tire her out. Then they helped me trim her nails with my Dremel hand grinder.